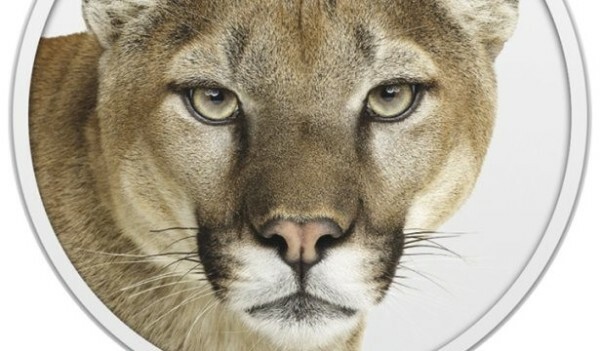 Apple, not resting on it's software-related selection of cats, has released the developer preview of Mac OS 10.8, more easily acquainted to most as 'Mountain Lion.' If one thing can be taken from the new implementations and functionality, it's that the desktop is moving further into the space of iOS. 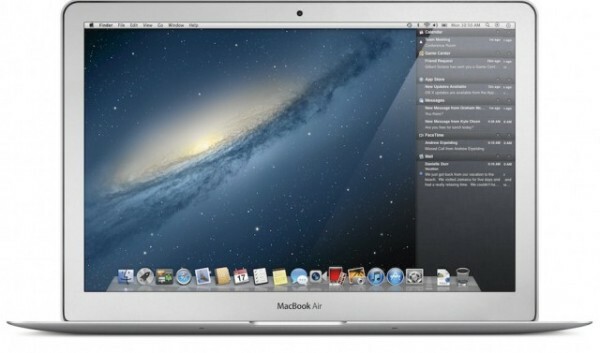 iCloud integration: You start up a Mountain Lion machine for the first time, and you're greeted with further integration with Apple's iCloud, enabling the same movement of your data and settings you find on your iOS device to occur between Macs. Pretty nifty, it was already their in the past; but it's a much simpler/easily laid out affair. Notification Centre: Very much in the same style as what is apparent on iOS5, notifications appear in the top right. Then with a swipe from right to left on the trackpad, notification centre is revealed on the right hand side of the screen. Click on the particular notification to be taken straight to the app from whence it came. So it works exactly the same as it does on your iPhone and iPad, just without the open-source nature and vast array of customisation that you'd get from the likes of Growl. Like much of the new functionality, it's a good item to have as standard in the OS, that was already there in the past. Notes and Reminders apps straight from iOS: If you've used these on an iPad, you'll immediately feel well acquainted with the visual style and the functionality. Plus with iCloud integration, the OS X app and the aforementioned iOS app will actively synchronise reminders and notes between each other. Messages: iChat is gone, and in its place is further unification with iOS. Messages works with the 'iMessage' applications on the iPhone and iPad, allowing for communication between all three, and solidifying the ecosystem. This has also been done without the sacrifice of locking it down, as it worked fine with Google Talk and Yahoo Messenger in our test. Integrated Twitter and sharing capabilities: Identical to what's already occured, a share icon is apparent in some of the first party applications on the system (Safari, Quicktime, etc), in which you select the particular network you wish to share. The 'Share Sheet' will pop up, type your coinciding message and send it off. Simple. Game Centre: Familiar to most, the Game Centre has been Apple's idea of Xbox Live for its devices, and now the app has made the move over to Mac. All of the capabilities found in the iOS app are there: findind opponents and making friends in multiplayer, leaderboards, achievements and, new to the software, in-game voice chat. Further to this, developers now have the ability to add a third device in the cross-platform offering of their games, as Apple have said that those who have used 'Game Kit' APIs will find it easy to make those apps work for the Mac too. In other words, multiplayer games between your iPhone, iPad and Mac will be possible. 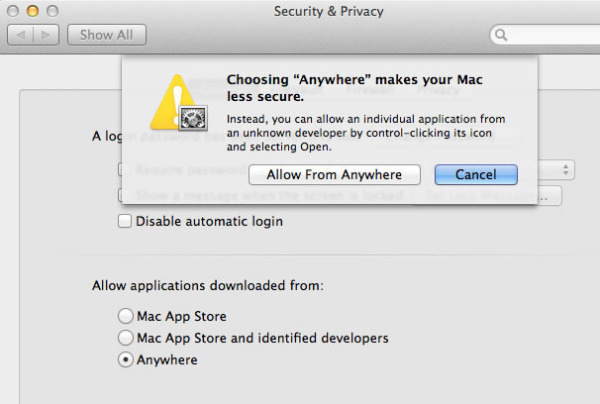 Gatekeeper: Interpreted as a guarantee of full compatability and security; but also as an initial move to lock people down into Apple curation, Gatekeeper is a new setting in System Preferences, allowing restrictions of apps run on the machine to those only from the Mac App Store. Apple says this is a response to the growing threat of malware, and is insistent that this isn't a means to control the outer-boarders of the Mac development community. But it'll be a matter of time to see just how the community adopt this. Improved Chinese features: A big one, as Chinese markets for Apple products are rapidly growing. Apple is making a priority to improve text input for the many variations of the Chinese language, and offer built-in compatability with the social networks/email clients used in the country. The update itself is pretty good to use, in the aspect that their is actually a cavalcade of new items, we've barely scratched the surface. So in the mindframe of 'newness' it's got a lot to try out. And even with the rough edges, the slick operation of user-interplay between notification centre, messages and iCloud makes for a pleasant experience. But the concern of making a computer operating system in this manner, essentially, less 'computer-ey' is there. Will it be the mountain lion, or the next big cat that traps you in a heavily curated corner?